Two simple “O” and “U” shaped steel stripes meets each other. 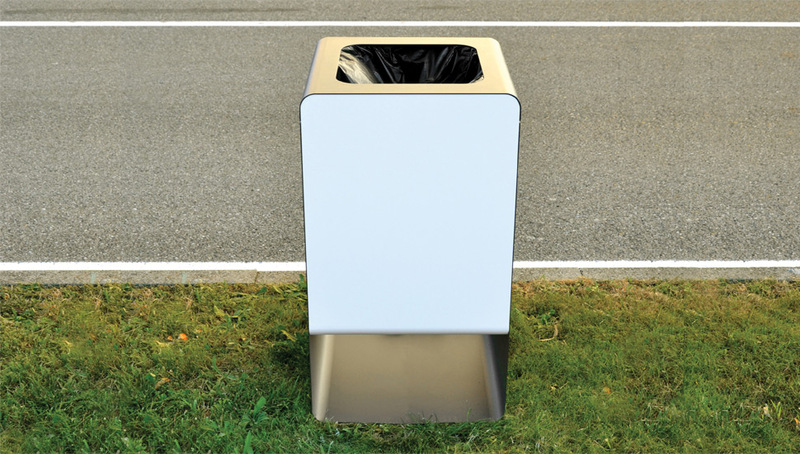 This is the idea behind Smith family, a bin and a plater with a clean and essential design. All the functional elements, like hinges for bin cover opening and fixing screws have been hidden internally to keep the exterior side as simple and clean as possible.